The healthy interaction of our world’s natural, human, built and economic systems sustains our quality of life, and maintaining a balance among their many demands poses difficult challenges. 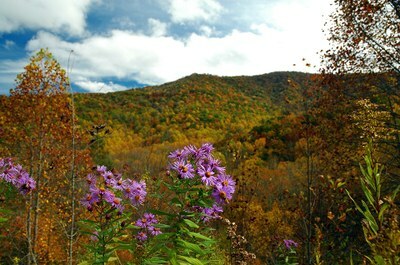 In an effort to address these challenges, UNC Asheville's NEMAC—guided by the Southern Appalachian Man and the Biosphere (SAMAB) Foundation—is expanding the Western North Carolina Vitality Index to address the interwoven nature of humans and the environment across the Southern Appalachians. The Southern Appalachian Vitality Index will report on 150 counties over seven southeastern states. The Index seeks to provide a larger, regional context to the interface of our natural and human systems, while helping decision makers understand changes—both past and projected—within the natural, human, economic, and built environments of the Southern Appalachians. SAMAB will concentrate its efforts with the primary goal of promoting effective social action through an understanding of sustainability as an integrated process of development, involving all levels of social and governmental organization, in an environment defined by natural, social, built, and economic concerns. With leadership from the SAMAB Committee—a partnership with members from 11 federal and three state agencies—key topic areas range from ecology to the economy. These topics can be examined from the perspectives of professionals that reach across political, institutional, and disciplinary boundaries. This integrated collaboration allows for a whole-systems approach to providing planners and decision makers the information necessary to inspire quality discussion, thus enabling informed decisions on issues affecting the Southern Appalachian's abundant natural resources and its potential for sustainable growth. In addition to the Index's website providing narrative and visual discussions of the selected metrics, NEMAC will also create a geographic information system (GIS) map viewer to let users interact with the datasets that went into rendering the website's maps. It is anticipated that the first iteration of the Southern Appalachian Vitality Index will be launched in the summer of 2015.